When considering different options and elements to upgrade your home, the majority of people often choose hardwoods. Hardwood flooring exhibits grace, beauty and luxury, and really ties together the theme of your home. When you first get hardwoods you start to wonder why it took so long to invite this warmth into your home and how come you didn't do it sooner. However, there is no time like the present to get hardwood flooring in Grayson, GA. Flooring Service Group has been serving Grayson and the surrounding areas for nearly a decade. During that decade they've upgraded by way of install and by way of refinishing hardwoods in hundreds of homes across Gwinnett County. With quite a few combinations available for the type of floor coverings you want, Flooring Service Group will help you narrow down the possibilities to maximize the potential for your existing home and d?cor. Species alone is a choice that carries a lot of options, such as oak, maple, cork, bamboo, hickory, ash, walnut, cherry and many more. 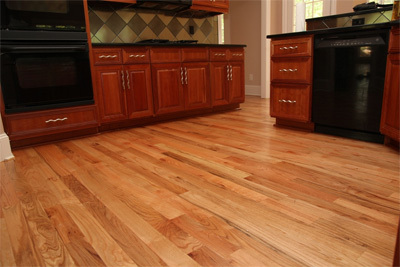 The wood species, or type, will dictate how hard the wood is and what type of grain, or line you'll have in your floors. You'll also have to choose an inlay pattern, normally they're just straight and staggered, but we specialize in all types of flooring designs to suit your needs. Your Grayson home wouldn't be complete without choosing the proper finish, or wood stain, for your floors to really bring everything in your home together. There's not really any comparison when it comes to the integrity of hardwoods versus carpet, laminate or tile. The warmth and grace you see and feel when you walk into a home that has hardwoods is seemingly unmatched and nothing less than impressive. The thorough steps we take to insure your floor will look beautiful are part of our every day job. We aspire to create the most beautiful floors for your money. We do it because it's our passion. If you're looking to get a quote on newly installed hardwood floors, or just have questions of how we go about stripping, sanding and refinishing, give us a call. Our knowledgeable design experts are always ready to help and explain our capabilities and methods of beautifying your floors. At Flooring Service Group we speak hardwood floors and will gladly take on the challenge of any floor that you may have now that is clearly inferior to the great master of floors: Hardwood.